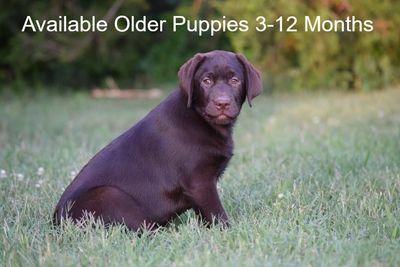 We currently do not have any older pups or dogs available. Please check back with us once in a while and we may have a special pup ready to go! Feel free to send us a Puppy Request Form as well, if your looking for an older dog or pup and we can keep that in file, in case one becomes available. Our older dogs available, have been our family members, for years. Yes! it is hard for us to part with them! Most of them posted here are now being retired from our program at a fairly young age, as we do not over breed our dogs. We feel they deserve a home of their own now, where they will get more one on one companionship and be the center of attention with a family of their own. Most important to us, that they go to the right home. We will not sell them for breeding. They are all housebroken, come when called and are use to being with other dogs and pups, as well as us 24/7. Here on our farm, they are use to being off leash, so they just come when called, or follow us. They are great with other animals here at the farm such as horses and chickens and have always been wonderful with our grandchildren and visitors to the farm. We are looking for permanent life time homes only, where they will get full attention, care and be part of a family, as they have been here. 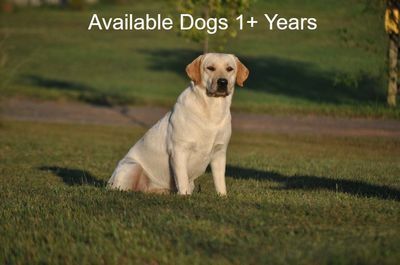 We want to match a home with each dog and we may or may not have one that suits your needs. 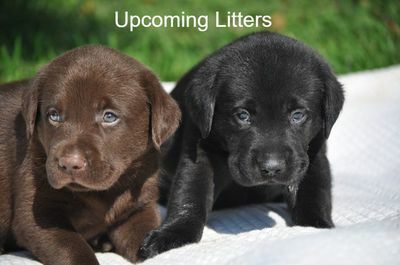 They are always up to date on all vaccines and wormer, flea and tick, Micro-chipped and all healthy dogs. If one of our dogs listed above shows no price, we maybe willing to donate that dog. Please keep in mind, there are many expenses in caring for a dog aside from the dog itself. You would need to show us you are able to afford continued care. They would come as companions only. You must commit to one of our dogs here, for a permanent life time home only. If seriously interested in any of our available dogs posted, please send us a Puppy Request Form, here on our web site and tell us a little bit about yourself and the home you would offer one of our dogs. Thank You!